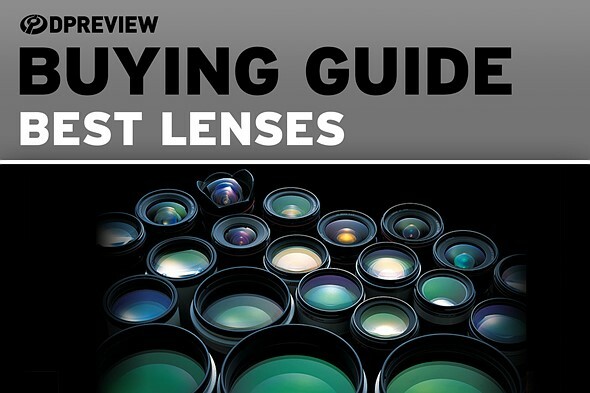 We’ve published the first three of our new Lens Buying Guides, covering Canon and Nikon DSLRs, as well as Sony mirrorless cameras. We’ve started with these three as they’re the most sought-after, and we hope to expand it to other systems soon. In each guide we’ve chosen the best standard zoom, prime, macro, telephoto, wide-angle and travel zoom lenses – there’s a quick primer on these lens types at the bottom of this page if you’re not familiar with them. The winner is what we consider the best overall value and, in most cases, we’ve provided ‘bargain’ and ‘money is no object’ options as well. Don’t agree with our picks? Please leave comments in the guides and we’ll take your suggestions into account. Standard zooms are just what they sound like – versatile, general-purpose lenses that start with a fairly wide angle of view and allow you to zoom in to a focal length traditionally used for portraits. Prime lenses are just a single focal length; removing the complexity of a zoom often allows for these lenses to be smaller, lighter and sharper, while letting more light through and being more useful in dimly lit situations. Macro lenses allow you to focus very close to small subjects, which is very handy for photographing flowers or bugs. Telephoto lenses start out being fairly zoomed-in, and allow you to zoom in further so you can fill your frame with more distant subjects. Wide-angle lenses are often useful for taking photos of interiors, landscapes and architecture. Lastly, travel zooms are like your kit zoom lens but taken to the extreme. You still start out with a fairly wide field of view, but you can zoom in almost as much as many telephoto lenses. This is convenient, but these lenses tend to let less light through them, so aren’t as useful in dimly lit situations, and they may not always give you the sharpest results.